Work is changing at a rapid pace and Business of Furniture is your front row seat to this shift. It is a business tool to help you make decisions, carefully follow trends, stay connected with colleagues, learn about new products and track the finances of the industry. 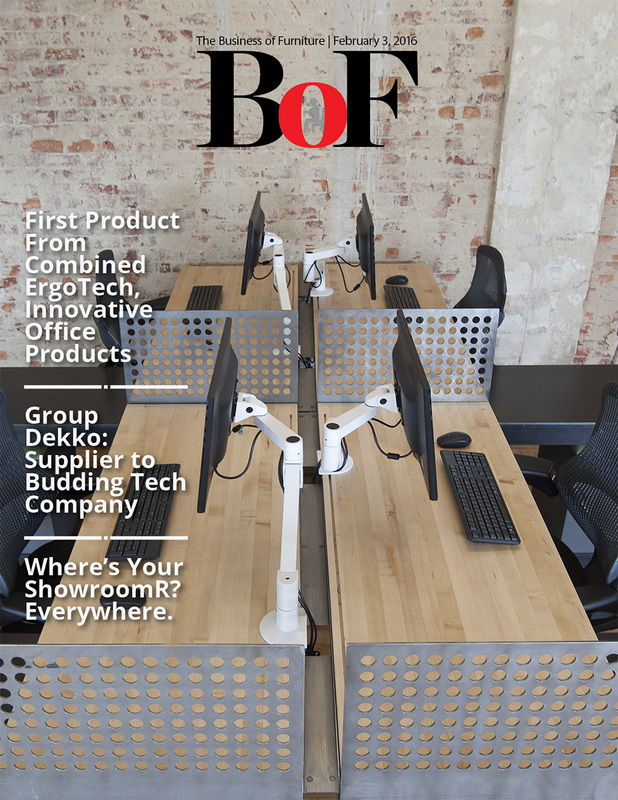 Business of Furniture keeps you connected each week with valuable information collected by a team of experienced industry journalists who cut through the fluff and present you the facts. The contract furnishings industry is shaped by trends near and far and Business of Furniture is committed to collecting news from around the world. Business of Furniture brings you the pulse of the industry each week so you can engage more fully with your customers. An objective, critical source of information that helps contract industry professionals make informed decisions about what is working today and what they need to plan for the future. Exclusively serves all aspects of the contract furnishings industry on a daily and weekly basis. From office furnishings manufacturers and their suppliers, to dealers and the various distribution channels, and finally to end-users. Our readers are key consumers in this multi-billion dollar market. How do you handle working alongside a noisy neighbor in the office? What are the best chairs for a call center? How can a worker get the most from her time on a commuter train? Work is much more than sitting at a desk or tapping away at a computer. Yes, the office remains the hub of what we call work, but it also happens at home, on the subway or airplane, in a far-flung hotel room or a nearby coffee shop. And work is being shaped by products that make the worker more efficient, comfortable, happy and connected. Workplaces Magazine follows everything that makes work happen, from the latest ergonomic office chair to the hottest mobile phone. Yet it is about much more than products. 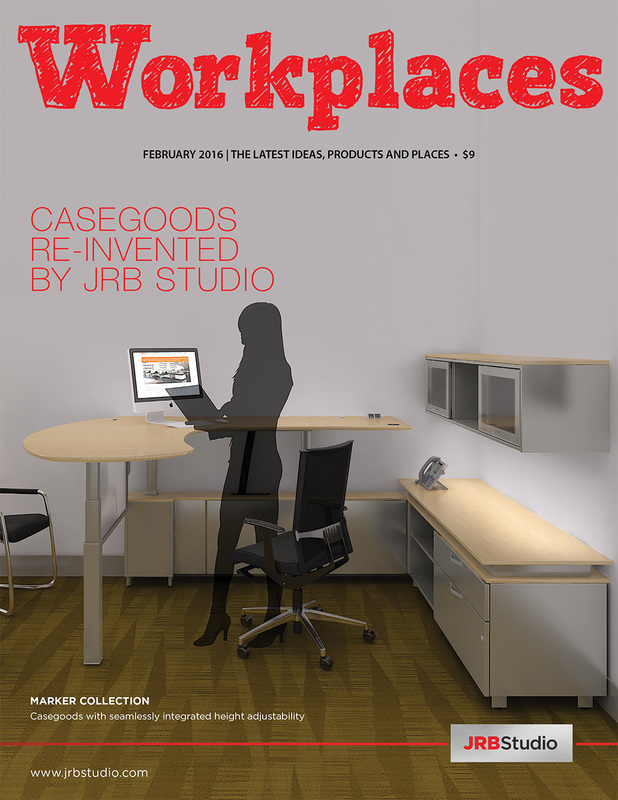 Workplaces Magazine also follows the latest trends about healthy workplaces and new workstyles. The magazine about the places we work, Workplaces Magazine's purpose is to inspire workplace design, define trends, and drive business consumers to discover great products. Workplaces magazine is a content-to-commerce publication that combines the best-in-class technology with the editorial excellence of Bellow Press. We seek to make the selection and purchasing of workplace products, including furniture, lighting, floor covering and accessories, both aspirational and accessible, necessary but relatable. Focused exclusively on the contract furnishing industry, a singular source of strategic and practical information on selecting, deploying and managing interior furnishings. Weekly issues include several feature articles focused on the various participants of this vibrant market - manufacturers, dealers, component suppliers and service providers. On issues that matter most to contract furnishings professionals, giving industry specialists the information they need to set strategy, make key decisions and manage effectively. When it comes to office furniture, we'll give you the best seat!